Señor Septic Construction & Pumping is your best choice for septic tank locating. Over the years, we’ve helped numerous homeowners and businesses throughout San Bernardino, Riverside and Los Angeles counties successfully find their underground septic tanks and take measures to ensure that they can be easily located moving forward by exposing the lid. Our skill in septic tank location comes from our having more than 23 years of field experience. 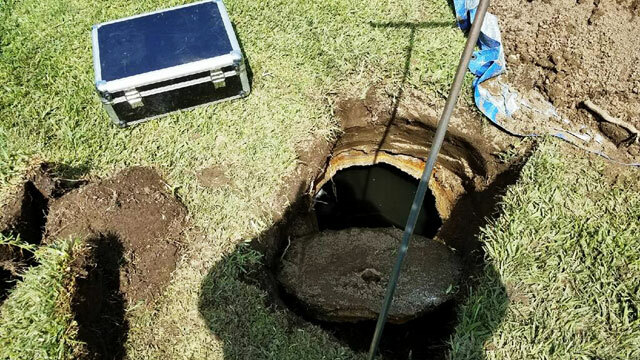 As a result, we’re able to locate tanks about 90% of the time, even when the tank is buried underneath new construction or the lid is thoroughly hidden by overgrown grass. Call Señor Septic Construction & Pumping today to schedule septic tank location anywhere in Ontario, San Bernardino, Highland, Rialto, Fontana, Bloomington, Jurupa Valley, and surrounding areas, Our hours are Monday through Friday, from 7 am to 5 pm, and on Saturdays by appointment. We are a fully licensed and insured C-42 septic system contractor that stands behind the quality of our work. In the unlikely event that we’re unable to locate your septic tank, there will be no charge for our services. Great service, came out same day. I called around to a couple other places and these guys were right for me. They didn't have a bunch of add on charges like other places I called. Flat rate pump for up to 15O0 gal. They didn't try and up-sell me either. I asked about adding . . .